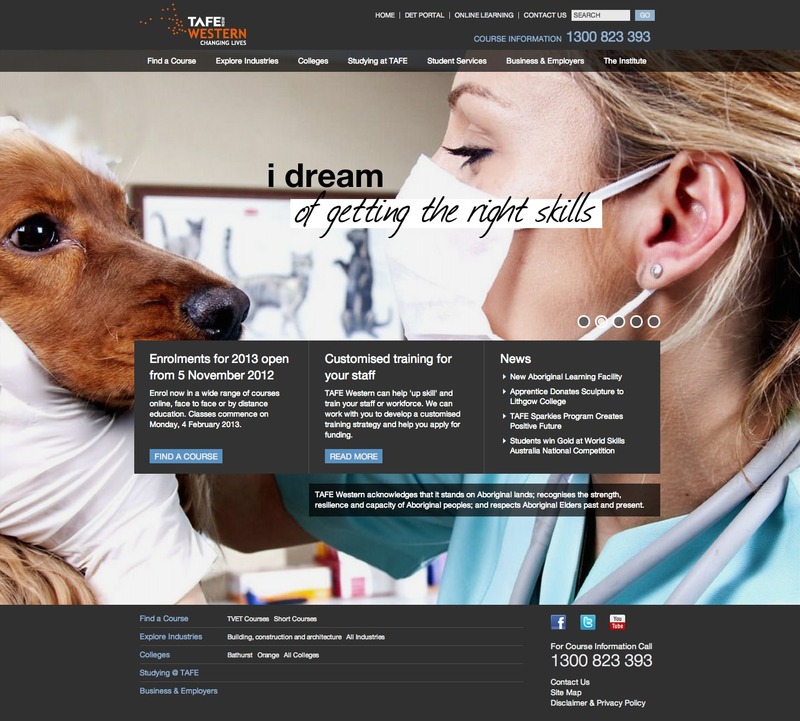 Daemon has released another beautiful site built on FarCry 6.2: TAFE Western. 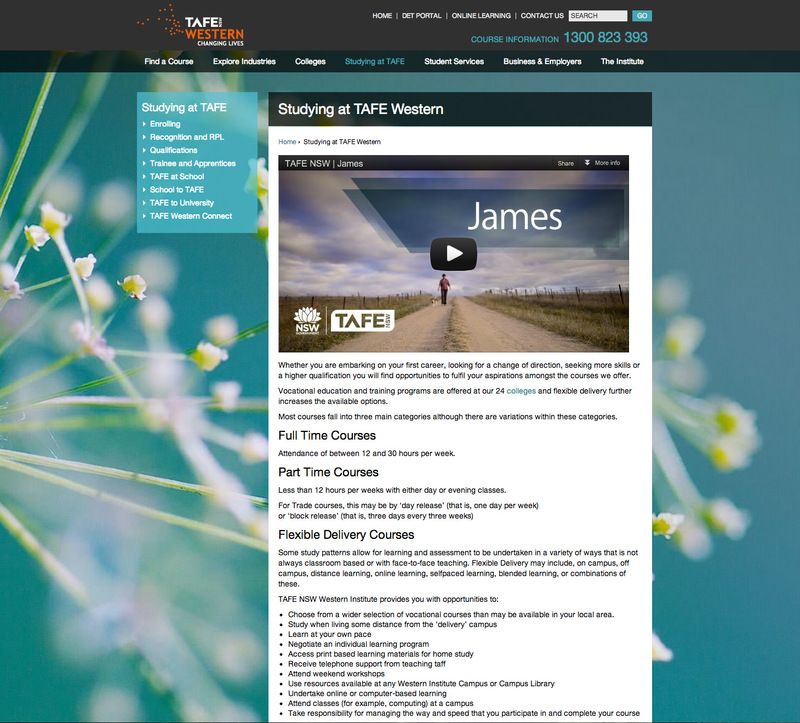 TAFE Western incorporates some clever content management customisations to support the gorgeous background images and section by section colour theming. 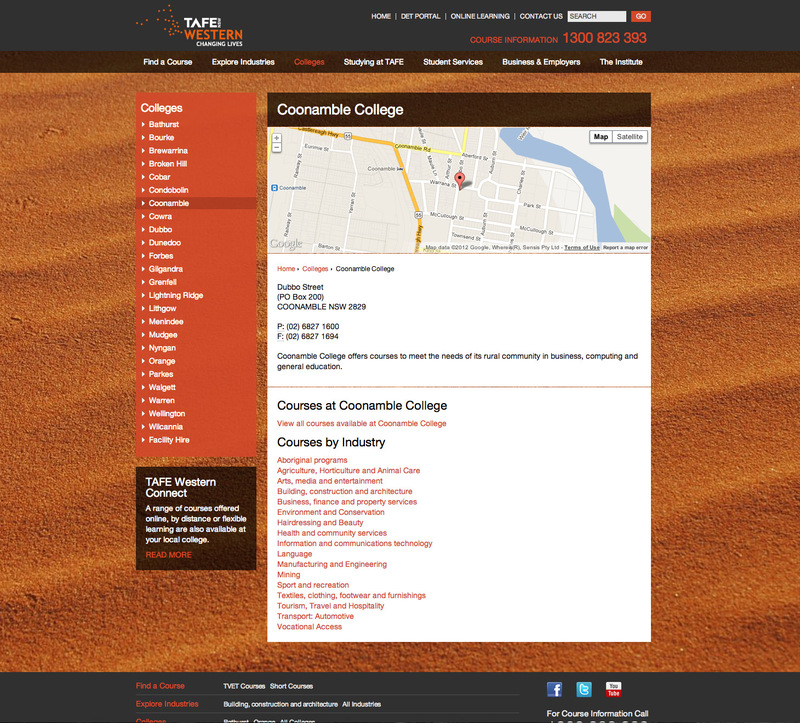 Custom content types maintain course content and other syndicated curriculum details like industry and industry category groupings, plus regional college and campus locations. Leverages SOLR Pro search, Google Analytics, and Google oAuth plugins under the hood. PS. please note a complete absence of horse images on the site!